Manchester City striker Sergio Aguero says his fitness is "the best in years" after a knee operation in April. The prolific forward went under the knife in the springtime and, despite a lacklustre World Cup in Russia, he has started the new season in fine fettle for Pep Guardiola's champions. Aguero recorded his ninth Premier League hat-trick with last month's treble against Huddersfield at the Etihad Stadium, while he also fired a brace in the Community Shield win over Chelsea. The 30-year-old goalscorer won his third Premier League with Manchester City last season but missed the end of the term to have keyhole surgery. It's the best I've felt in years. It shows in my game. "I feel fantastic," he said. "I don't feel any sort of discomfort." "During the past few years, I felt pains at times and when last season came to an end, we decided it would be best to start treatment. And the results were very positive," he told City's website. "Dr [Ramon] Cugat did amazing work with my knee. I'm not sure if this is the best start [to] a season for me, but it's the best I've felt in years. It shows in my game." Aguero joined City from Atletico Madrid in July 2011 and has now passed 200 goals for the club, making him City's all-time leading goalscorer. 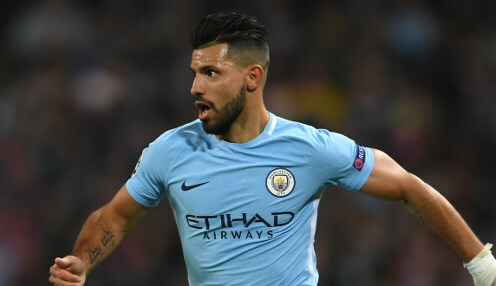 Manchester City are 8/11 to retain their Premier League crown this season, while Aguero is 7/4 to be leading goalscorer in England's top flight.